Should you test your baby for genetic disease risks at birth? Mutations come in many forms, with the most common being single nucleotide polymorphisms (SNPs, pronounced “snips”). As shown in Figure 1, each SNP is a difference in a single “letter” of DNA (called nucleotide bases and represented by the letters A, T, C, and G). With an average occurrence of 1 per 300 base pairs, there are about 10 million of these small differences (SNPs) in each of our genomes. SNPs often do not cause any overt phenotypes (visible characteristics), and instead have only subtle effects, such as influencing your susceptibility to certain environmental factors, responses to medications, or risk for particular disorders. Figure 1: Single nucleotide polymorphisms (SNPs) are mutations that consist of a change in a single nucleotide base. SNPs may not cause major problems or diseases, but may instead be completely benign or associated with risk for a particular disease. 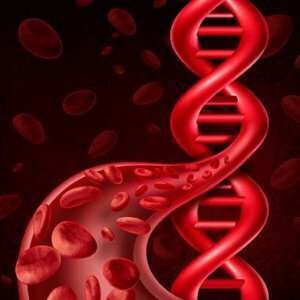 Data from these studies can then be used to pinpoint genes or genetic locations (these physical locations of genes on our chromosomes are termed “loci”) that may contribute to a person’s risk of developing a certain disease. 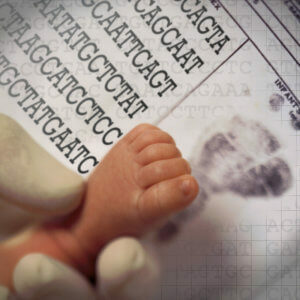 Such studies are made possible by the completion of the Human Genome Project in 2003 and the HapMap Project in 2005, which produced necessary resources, including a reference database of human genome sequences, a map of human genetic variation, and a set of new technologies to quickly and accurately analyze whole genomes. 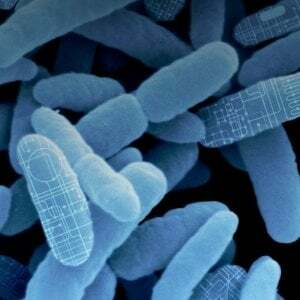 These resources set the stage for researchers to explore diseases with complex etiologies in a new way. 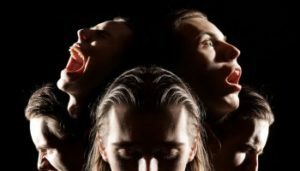 Schizophrenia is one disorder in particular about which genetic and genome-wide association studies have revealed new information and potential treatment options. 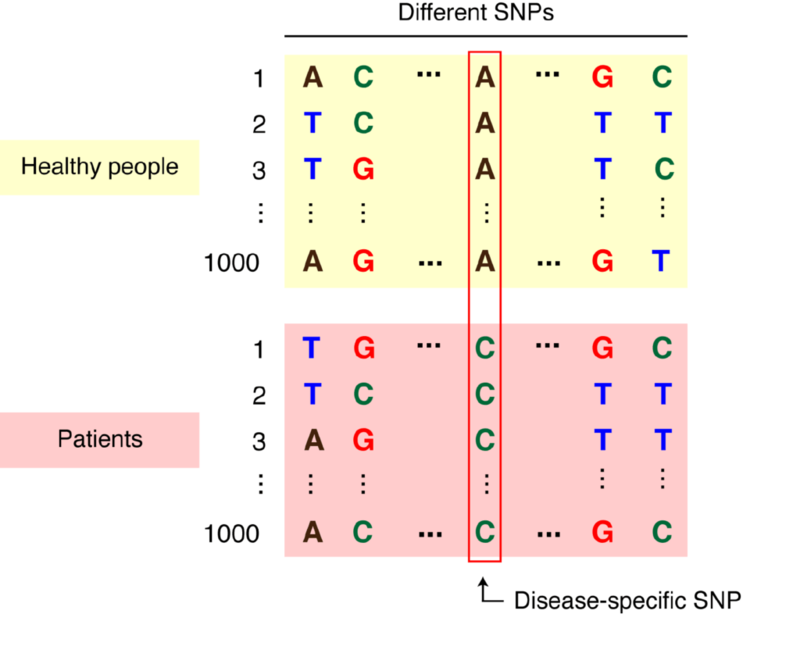 Figure 2: To carry out a genome-wide association study (GWAS), researchers use two groups of participants: people with the disease being studied and similar people without the disease. DNA obtained from all participants is purified and tested for genetic variations, like SNPs. 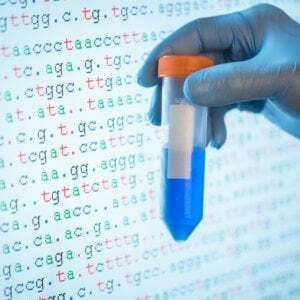 If certain SNPs are found significantly more frequently in patients with a certain disease than in the general population, the mutations are said to be “associated” with the disease. 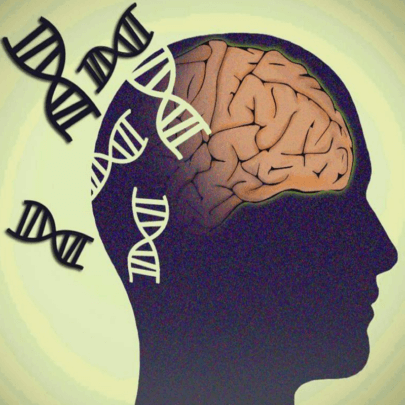 Unfortunately, the extensive GWAS findings have not revealed a great deal about the high heritability of schizophrenia. Even though more than one hundred SNPs have been identified as risk factors, the functional implication remains unclear for most. This is largely because identifying SNPs only points to risk loci, which is not always equivalent to finding a disease-causing gene. Loci may be in regions of DNA without genes (termed “non-coding DNA”); these non-coding regions often have an impact on other genes, but it can be difficult to dissect these relationships. Additionally, several variations may occur in one region, making it difficult to know which loci are the true risk factors. Finally, disease-associated SNPs may not be directly causing the disease but instead may just be hitching a ride along with the actual causal SNPs. Figure 3: (A) While a decrease in synapse number during late adolescence and early adulthood is a part of normal development, patients of schizophrenia show a greater loss in synapses. (B) A simple method for determining synapse number in post-mortem brains is to observe the number of “dendritic spines” –the physical structures associated with certain synapse types. As illustrated, patients of schizophrenia show an abnormal decrease in dendritic spine density on some neuron types. It was demonstrated that increasing expression of C4 in mice caused a similar result, alluding to a causal role of C4 in schizophrenia.